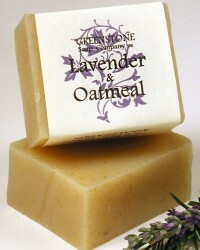 Made for all skin types our all-natural, vegan, hand made soaps are made using our unique blends of pure essential oils and certified food grade Olive, Coconut, and Palm oils (and other moisturizing oils like shea butter, hemp, avocado, sweet almond and Jojoba) with rosemary extract as an anti-oxidant agent. 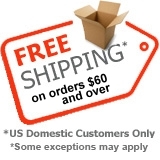 Out of respect for the earth and you the consumer, all our products are cruelty-free (no animal products or animal testing), vegan, pure plant products. Handmade and hand cut. 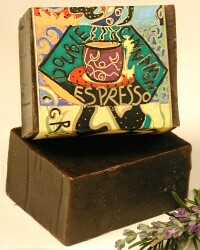 One of our mildest soaps. 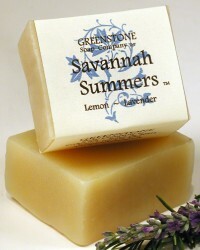 Great for all skin types especially sensitive, dry skin. 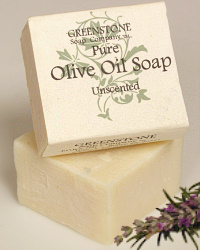 Made with 100% pure olive oil, this soap is as mild as it gets. 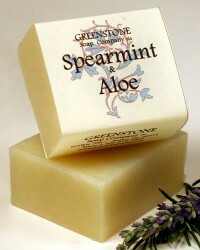 Rejuvenating for dry or mature skin. Cleopatra would have searched the world over for this one. 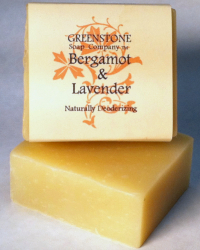 Made with our proprietary blend of raw honey, hemp and essential oils featuring Patchouli, Lime Peel, and other pure essential oils. 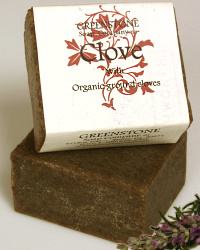 Made with a proprietary blend pure essential oil of Cassia, with powdered coffee and Organic Cinnamon, this is the best kitchen soap, ever; removes garlic, fish, and onion odors from your hands. A great energy bar, stimulating and toning. 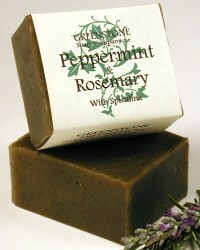 Harvested at their peak these two traditional herbs of Peppermint and Rosemary are added to the soap, creating a wonderful skin cocktail. 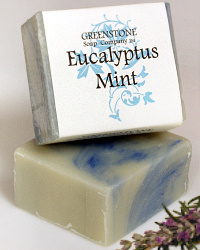 Made with naturally rich Olive, Palm, and Coconut oils, with pure essential oils of Peppermint and Rosemary with Blue Green Sea Algae, ground Rosemary Leaves and French green clay. Rosemary extract added as a preservative agent. (Approx. 3.5 oz). 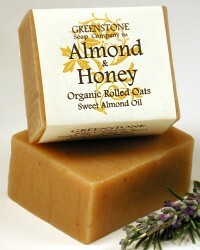 Containing 20% Sweet Almond oil with raw honey and organic oats makes this one of our best for dry skin. 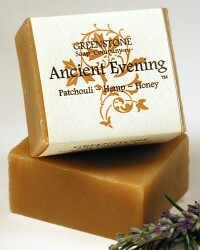 Made with our proprietary blend of raw honey and pure essential oils and spices. Invigorating for all skin types. 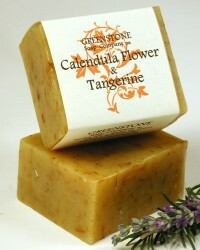 Made with pure essential oil of clove with ground organic cloves. 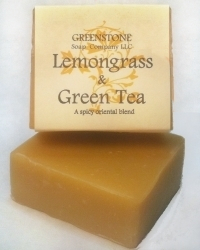 In the spirit of renewal, we thought we’d offer you a new soap just great for those long lazy days of summer: Lemongrass and Green Tea. 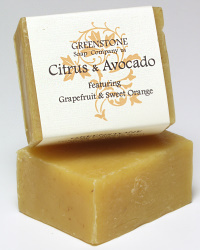 A citrus delight made with our proprietary blend of pure essential oils. 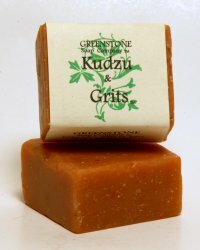 A great scrubby body bar and for those who work with their hands. Made organic Kudzu and grits. 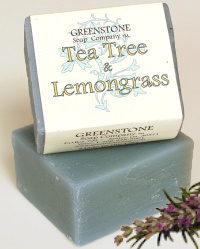 With pure essential oils of Cedarwood and Lemongrass for an excellent exfoliating soap. 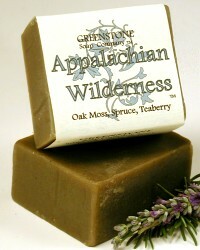 Combining the crisp scent of citrus with the deep woods scent of fir needles makes this a great winter soap for all skin types. 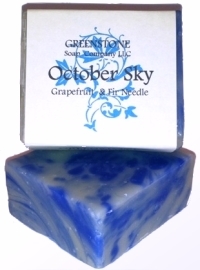 Made with our proprietary blend of Grapefruit, Fir Needle and other pure essential oils.